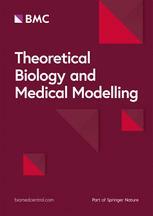 Theoretical Biology and Medical Modelling focuses on theoretical ideas and models across all aspects of biology and medicine. We bring together mathematicians, biologists, clinicians and historians to understand the emergence of novel concepts across systems biology and medicine, bioinformatics and computer modelling. Edited by a renowned Editorial Board, the journal welcomes research and reviews, along with software and database articles. We pride ourselves on swift editorial decisions, with an average time from submission to first decision of less than 20 days, and expedited peer review for outbreak studies.